Once you get past its slightly unappealing milky yellow colour and mild anise flavour you are either a pastis fan or vow never to drink the stuff again. 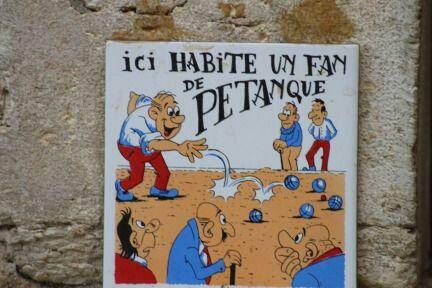 However, pastis drinkers don’t care what you think about their beverage of choice. 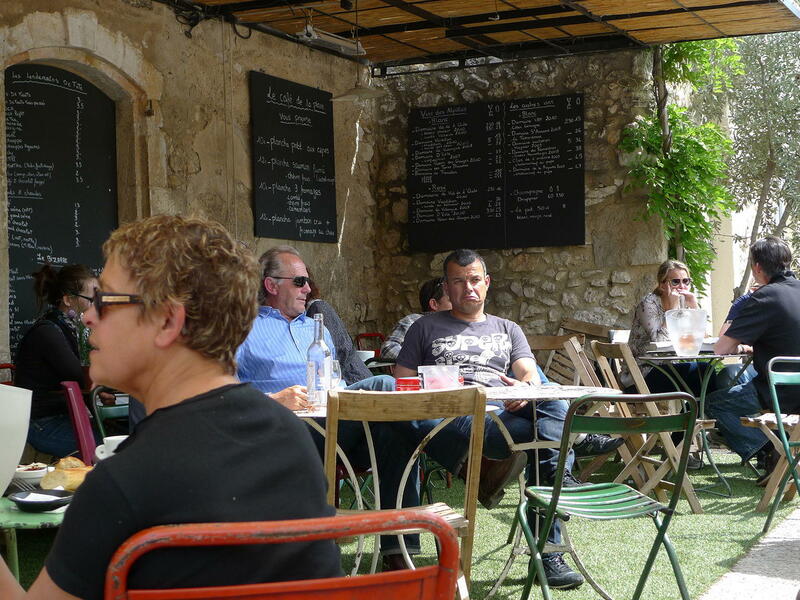 As you sip your glass of Provencal rosé, study the drink orders at the village bar; at the buvette (stand-up bar) by the pétanque pitch, at a local festival, or check behind the market stands and you are guaranteed to see many folks enjoying a cloudy glass (or two) of pastis. 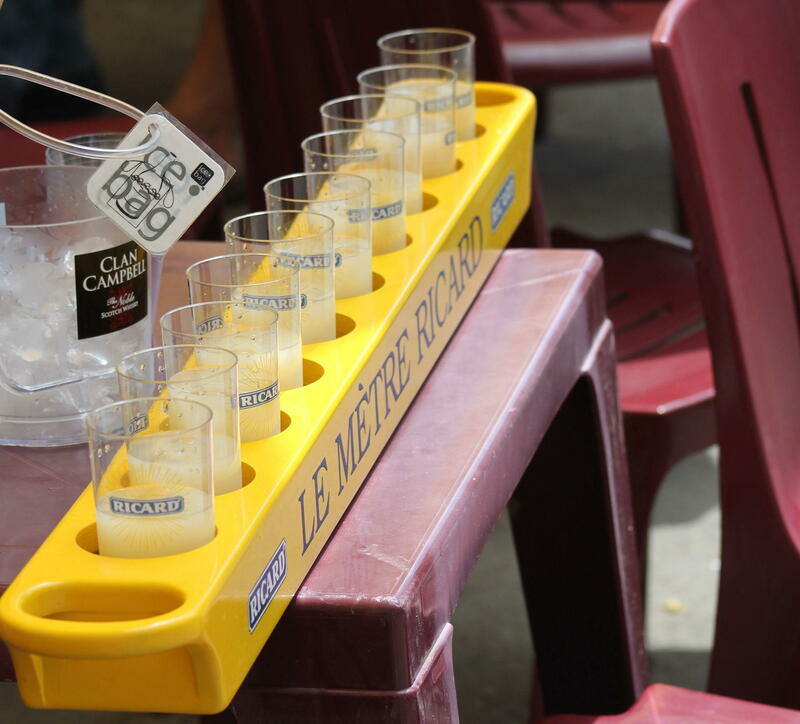 Pastis is typically enjoyed as an aperitif and served with water, which turns the liquid from clear to cloudy yellow or “louche” (French expression). 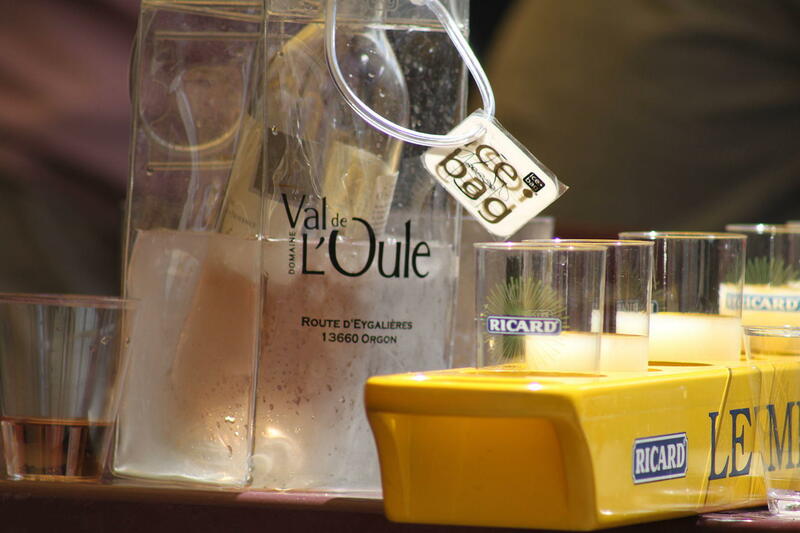 Served neat pastis has 40-45% alcohol by volume, so most drinkers add 4-5 parts cool, flat water. Ice can be added as an option, but never before the water as anethole (an aromatic compound in pastis) will crystallise. 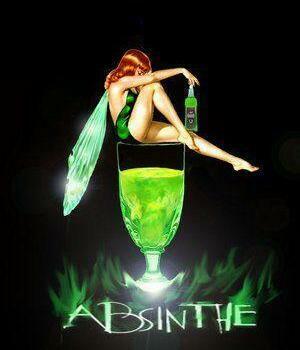 By 1915, the French government (and many others) banned absinthe for its high alcoholic levels and psychoactive properties (unproven but believed at the time). Anise and botanical flavouring played heavily in absinthe the drink that was also known as “la fée verte” (the green fairy). After the ban of absinthe, Jules‐François Pernod, André Hémard and Paul Ricard seized this gap in the beverage market each creating their versions of a reduced alcoholic concoction while maintaining the liquorice taste that consumers enjoyed. Found throughout the Mediterranean basin are similar anise-based drinks that may have inspired their inventions. These beverages include anisette in North Africa, ouzo in Greece and Sambuca in Italy. However, traditionally these other liquors are not served in Provence as locals are loyal to their pastis. 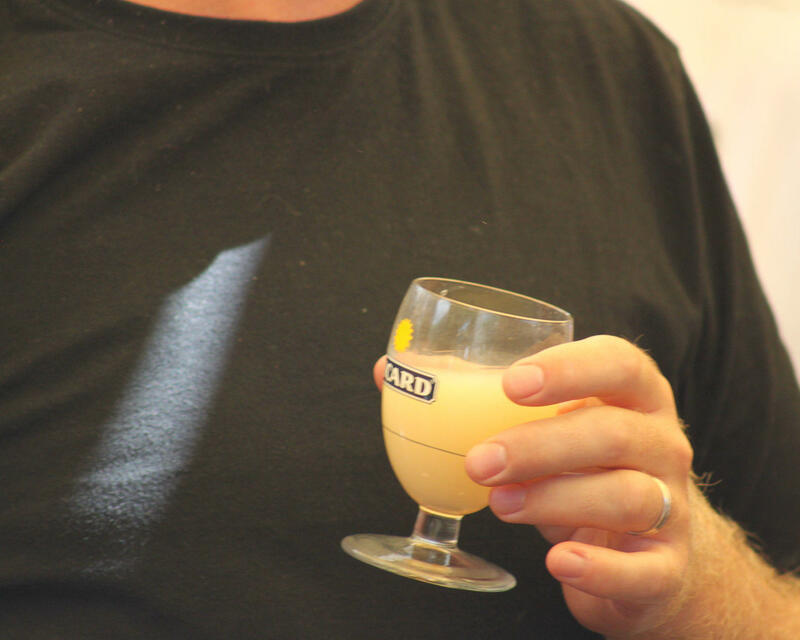 Pastis takes its name from “pastisson” which in Provençale means mixture. The fabrication process involves macerating for weeks a combination of spices, herbal plants and star anise. Technically, Pernod is not a pastis it contains the essence of star anise and aromatic plants (including mint and coriander), which are distilled (not macerated). In 1918, Jules‐François Pernod recognising the popularity of anise crafted “Anis Pernod” at the Montfavet Pernod Père & fils distillery near Avignon. 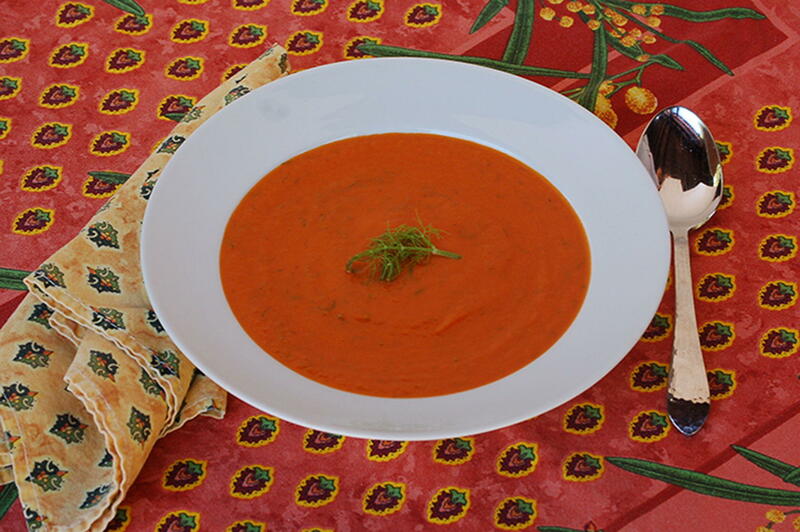 By 1922, the French state allowed anise-based aperitifs to have an alcohol content of up to 40 °. At that time, two competitors were producing Pernod one company run by André Hémard and the other by Jules-François Pernod. A judgement in 1928 against André Hémard could have led to a messy appeal process. Instead, he suggested a merger of the two companies and Les Etablissements Pernod Maisons Pernod Fils, Hémard and Pernod Père et Fils formed on December 4, 1928. In 1938, the French government regulations changed regarding alcohol content in aniseed drinks and the firm launched Pernod 45 (45% alcohol). In 1951, the French government entirely lifted the ban on anise-flavoured beverages, and Pernod launched Pernod 51 (later rebranded as Pastis 51). The problem was an upstart in Marseille. Paul Ricard successfully launched “Pastis de Marseille” marketing of his liquorice-flavoured concoction in 1932. 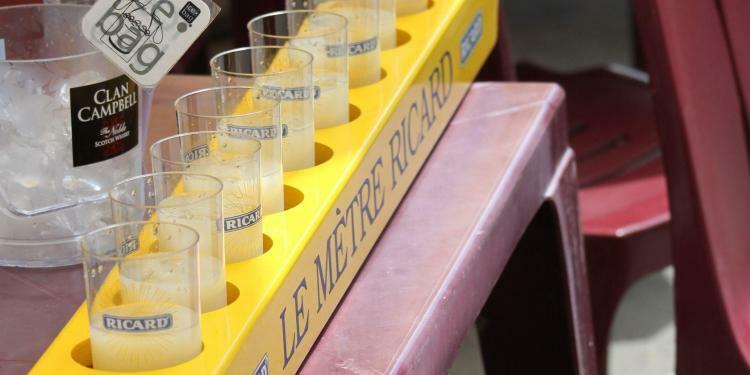 The two firms continued to battle for pastis market share until they joined forces (1975) becoming Pernod-Ricard. Whatever you order, avoid “Je suis dans le pastis” (I’m in trouble) the alcohol content can be as high as 45%. And if you want to say “what a mess!” in much of France you might say “quel bazar !” But in Provence you can say “Quel pastis !” reflecting the jumble of herbs that goes into making this most Provençal of drinks. My favorite is the Mauresque, with a touch of almond syrup! 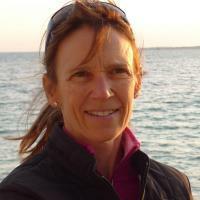 Bonjour Lisa: I have to admit pastis is not my favourite drink, but with almond syrup, I could learn to love it! Thanks for reading Perfectly Provence.